According to a recent New York Times article, 57% of the Toyota Prius buyers surveyed this spring by CNW Marketing Research of Bandon, OR indicated that they bought the car because “it makes a statement about me.” In comparison, only 36% and 25% said it was due to “higher fuel economy” and “lower emissions” respectively. What is the message Prius owners want to make? 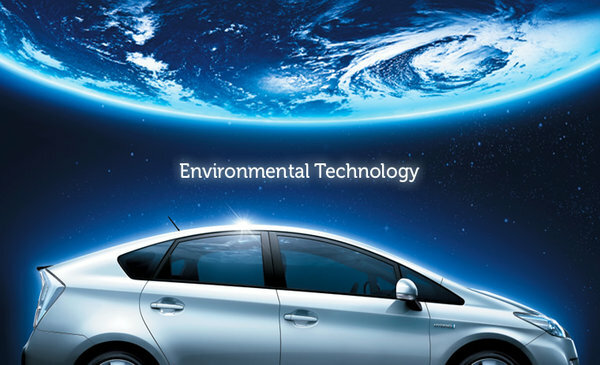 “I care about the environment.” While the car’s primary functional benefits are better gas mileage and decreased impact on the environment, the Toyota Prius primarily delivers a self-expressive brand benefit. The car’s distinctive styling adds to its allure. Because it was built as a hybrid from the ‘ground up,’ it is one of the few hybrids that looks like a hybrid. That’s important to people who are using the brand as a self-expression statement. Prius owners are also rewarded when strangers approach them asking questions about the car, something that occurs quite often. I can personally confirm this as I am now driving my second Prius, a 2005 model with more than 55,000 miles. Back when there were fewer Priuses on the road, often as they passed one another, their drivers would smile and wave knowingly at each other as if to signal that they were a part of a special club. Or maybe he was thinking that I was a ‘self-righteous tree-hugger’ or that I couldn’t afford a car like his. I would be surprised if he was thinking, ‘Maybe I should consider buying a Prius now that gasoline is so expensive.’ I sometimes thought about how difficult a Hummer would be to parallel park. And, if I am honest with myself, I might have occasionally mused about whether the Hummer driver had a personal insecurity for which he was trying to compensate. Nowadays, I don’t really pay much attention to the Hummer, Prius or other car stopped next to me at a traffic light. Have I moved beyond ‘status’ to ‘self-actualization’ (on Maslow’s Hierarchy), am I too busy multi-tasking or have I just grown bored of these types of mental exercises? I don’t know. But I do know one thing — that cars often serve as a form of self-expression. They are driven as brand badges begging to be noticed. And, the Toyota Prius is an excellent example of that. Automobile brands are not the only brands that say something about a person. Where a person lives, where a person went to school, what a person reads, where he or she shops, what he or she eats, where the person vacations and what the person wears all say something about the person. For instance, what does each of the following brands say about a person? It’s sad that people have to brand someone for driving a Hummer or any other vehicle. And the same hypocrites often live in some giant earth-killing mansion of a home. I bought a Hummer because the cost of fuel is not an issue for ME. I live in an area where snow covered roads are not often cleared for days. I bought a Hummer to tow my boat, kayaks and other gear driven activities that I participate in. None of which the Prius can do for me. As you say, I’m a gas hog, selfish and wasteful person who may have some personal insecurity for which I’m trying to compensate. Trying to brand someone by what they drive, wear or read can be a dangerous game – Don’t quit your day job, because you’re not very good at branding me. Thank you for your response. You raise a very good point. People often use a particular brand for reasons other than what group consensus might conclude. And how GM intends to position Hummer may be different from how a particular segment of its customers view the vehicle, which may be entirely different than how non-Hummer owners perceive the vehicle and brand. -Brands are often purchased and used as self-expression ‘badges.’ People often try to present themselves as affluent, smart, environmentally conscious, tough, attractive, fit, frugal, a good mother, a God-fearing person, etc. Having conducted thousands of marketing research studies focused on human motivations in my career, I have seen many paths that people choose to reinforce their self-esteem. And marketers routinely exploit these paths in their brand communications. -Yes, people sometimes do purchase products and brands for purely functional reasons, however, studies have shown that a higher percentage of people choose products and brands for emotional, experiential and self-expressive reasons and then often justify the purchases using functional arguments, which they believe may cast them in a more favorable/rational light. For the record, my Prius does quite well on my 1000-foot gravel driveway that winds through a marsh and my second home’s one half-mile gravel driveway that has steep slopes and hairpin turns – even in the winter. Also for the record, my wife drives a Honda CRV because of our need to haul cargo larger than my Prius can handle. Brad, don’t you think Prius’ success to date has more to do with the fact that there aren’t many hybrids out there yet. So, if you want a hybrid – there it is. To me it’s a dopey looking car. Next year there are many more smart looking hybrid’s coming out. I think we will see Prius’s lead drop noticeably. For myself I don’t think Prius owners reflect an “I care about the environment” brand, but more a “Gawd the price of gas is outrageous” brand. If gas was 50¢ a gallon, do think they could even sell one? I think environmental surveys are prone to human nature. Much like the old surveyer who went door to door asking folks if they prefered the premium or regular beer? The vast majority said they drank premium. Sales figures for that region showed an over whelming majority drank the regular beer. The respondants didn’t want to be seen as regular people. A lot of times I think that the environment is a sexier response than cheap gas. I’ve driven a Prius for two years. The main reason I chose it? Gas was at an astronomical high, and still is. If I can get 50 mpg, I’m deliriously happy. To be fair, I looked at all the manufacturers including the Big Three, because I live in the Detroit area. The Prius was the best hybrid available at the time. I’m appalled at the lack of interest the so-called American manufacturers have toward alternative energy. The mood here is rabid against gas savings. It’s like they think it’s a God given right to drive gas guzzlers. I’ve had my Prius repeatedly keyed in parking lots and I always park in the back 40. I almost did NOT purchase it because of the way it looks. You have to admit that it’s a goofy looking car, and I still think it’s weird looking. My previous car was a Monte Carlo, which is visually very appealing but a gas hog. I know that by driving it, I’m not even putting a small dent into saving the environment. I’d like to know which Prius owners CNW Marketing contacted. I certainly was not one of them. I spent yesterday test driving cars, searching for a new vehicle. Having driven mostly BMW’s for the last ten years, I decided to test drive a Prius this time. And while I loved the tech, and I want to “do the right thing” by driving a hybrid (for the environment, not because of the price of gas), the car unfortunately looks, drives and feels (comfort-wise) inferior to a BMW. I don’t know that I’m worried about what it says about me if I go from driving a BMW to a Toyota. The car just feels cheap and plasticky after driving a BMW. Personally I think anyone who worries about what the brand of their car says about them has a very low self-esteem. You aren’t defined by what clothes you wear or what car you drive. You are defined by what you do with your life. Are you making a positive contribution to the betterment of the human race or are you just consuming stuff you don’t need to impress people you don’t like? Here’s my personal slant – one brand will say no more about a person than another. If you think it does, you’re brainwashed. I once overheard this comment at a party: “The difference between you and me is I make margaritas from scratch, and you make it from a mix.”(The woman was supposedly making a joke.) The the joke’s on her. To define one’s self by what one consumes, and, in turn, define others in the same way is not a happy way to live. I have a friend who thinks it’s “low class” to have any jar with a label on the dinner table – a major offender here would be a bottle of ketchup, which ought to be decanted. Please! I’m surrounded by this dumb attitude and it makes me want to live on a island with a knife and a flint. What could the Prius or Hummer brands say about you?